Don’t you hate it when you get into a car and it smells of everything that has been in it in the last one week – old socks, pets, musty food, etc.? Especially when you get into the car early in the morning or when you have someone with you or on long drives. This is why you need an air freshener which not only deodorizes but also leaves it smelling nice. Let us look at the best-rated car air fresheners in 2016. 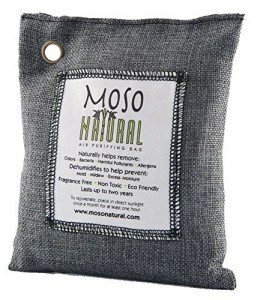 The Moso Natural Air Purifying Bag is a linen bag which is filled with high-density bamboo charcoal. Moso is a type of bamboo which grows in China, and the charcoal from burning has been used for centuries for deodorizing. The charcoal is made by burning the bamboo in an oven at temperatures over 1000oC. One thing we love about this is that it not only deodorizes but also removes moisture which reduces the chance of mold, mildew, and bacteria. It also absorbs some of the chemicals that are released from everyday objects like ammonia and benzene. These chemicals cause the bad odor that you can smell. You can also use this one bag for a couple of years by just putting this bag out in the sun for an hour every month, and it is good to go. This is a natural product and so releases no chemicals that can harm you. It is also safe for the environment as you can use it as a fertilizer for your plants when you are ready to discard it. The only issue is that it does not release a fragrance; however, as long as your car smells fresh, why do you need a fragrance? The PURGGO Car Air Freshener has bamboo charcoal which is in a bag made of hemp fabric. The bamboo charcoal is a porous substance (4 times more porous than regular charcoal) which adsorbs all the chemicals and the moisture which cause the smells in the car. The smell molecules are trapped within the pores of the charcoal. The absorption of moisture also ensures that there is a reduction of mold and mildew in the enclosed area. It has a handle which makes it easy to hang the bag from the back of the front seat. It has a life of one year as long as it is refreshed once every month by placing it in the sun for an hour. This releases the moisture and the chemicals into the atmosphere and refreshes the charcoal for further use. This is also a natural product which can be recycled as a plant fertilizer after a year. Priced at this price, this is fragrance-free and allergen-free alternative to many chemical deodorizers in the market today. The Air Spencer (000800) CS-X3 Squash Scent Air Freshener is a Japanese made product for deodorizing your car. This is one of the few products which have been designed as a car freshener and not a general freshener. It comes in a plastic box which can be attached to the dashboard or underneath the seat with two double-sided tapes. The cartridge for CS-X3 Squash Air Freshener (shipped in a plastic cover) needs to be uncovered and put in the box. 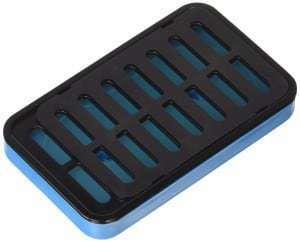 You can buy refill cartridges once the cartridge evaporates completely (life of up to four weeks) online on sites like amazon.com. The box has a lever which controls the amount of scent released. This particular product has the smell of squash (in reality more citrusy than squash). Only issues we have faced is that the smell is very strong for a couple of days, you can get the smell outside the car and the fact that you need to get a refill every four weeks. 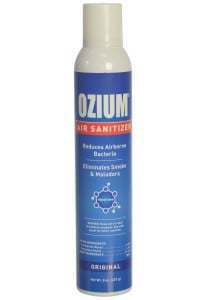 The Ozium Air Sanitizer is a hospital grade deodorizer. This product was initially developed for use in hospitals and healthcare facilities to battle airborne bacteria and germs in them. It is an aerosol which uses a glycolizer to disperse micron-sized droplets of the chemical inside. These droplets attach themselves to the smell generating molecules and airborne bacteria and remove them from the atmosphere. It is a very strong deodorizer which has been proven to remove smoke smell left from cigarettes, cigars, pipes and other tobacco products have been used in the car. It also removes airborne bacteria which helps sanitize the area. Just one spray is good enough to get rid of the toughest smells. It is also very quick, within minutes you are left with a fresh smelling car. The only problem with it is it has a very strong smell when first sprayed. So hold a cloth to your nose when you spray and leave the car open for 10 minutes before you use the car. 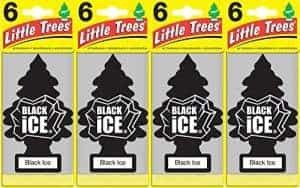 The Little Trees Black Ice Air Freshener is an iconic American item which we have been seeing in vehicles all over the US and Canada since 1952. It is a paper/cardboard product which has some fragrance embedded into it and cut into the shape of a tree (why a tree is anybody’s guess). Though the product Little Trees comes with a variety of fragrances like cinnamon and citrus, the black ice has become the most favorite among a lot of customers. It is a strong masculine fragrance which lasts for several days. You need to follow the directions on the package, make a small cut on the top and expose the tree a little bit (about three-quarters of an inch) at a time otherwise the smell is strong enough to give headaches to a few people. It is very cheap. This product is currently sold in a pack of 24 individually packed trees. One tree lasts for about 7 weeks if used as directed. Find information about the best roof rack baskets for convenient storage. The TUPELO Car Air Purifier is an innovative patented air freshener which works on an air ionization technology. 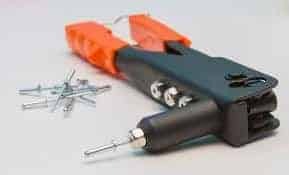 It is very simple to use; just plug it into your 12 V car socket, and it starts to work. It has a blue LED light indicator which tells you when the device is plugged in and working. 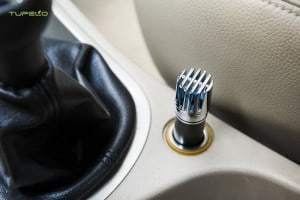 It is an Ionizer which works as a Car Air Freshener by producing negatively charged ions which react with chemicals which produce odors like benzene and converts them into neutral chemical thus removing the smells. It is excellent at removing smells from cigarette and cigar smoke. It also helps kill germs and bacteria in the air which makes for a healthier you. It helps people who suffer from allergic conditions like asthma, allergic bronchitis, sinusitis, etc. as it acts as an air purifier by removing allergens like dust, pollen, molds, toxins, pollutants, etc. This is especially useful if you have small children whose immune system is still not developed to fight these allergens. This air purifier will last you a lifetime. Check out our reviews on the best aquarium filters. 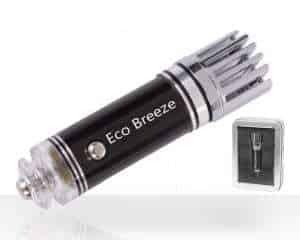 The Car Air Purifier by Eco Breeze works on the patented ionization technology which generates negatively charged ions and uses these to eliminate bad odors and purify the air. It produces 3,800,000pcs/cm3 of negative ions. These negative ions search for positively charged ions in molecules of chemical vapors, bad odor-producing chemicals, smoke particles, etc. and bond with them, making them too heavy to stay in the air and float. This process helps remove bad odors and smoke smells from your cars. These negatively charges ions also react with proteins chains in bacteria, mold particles, dust, dander, etc. and removes them too from the air in the car, this acting an air purifier. In fact, the manufacturers claim that their product eliminates 99% of airborne bacteria. This makes this an ideal product for those who have respiratory allergies like bronchitis, sinusitis, and asthma. It also protects you from pollution in the air around you. The Eco Breeze Air Purifier has been certified by CE, FCC, and RoHS, so you know it is a safe product. These units are quite small but extremely powerful. They also have a long life, so it is a small one-time investment. Air fresheners come in various forms each with their pros and cons. 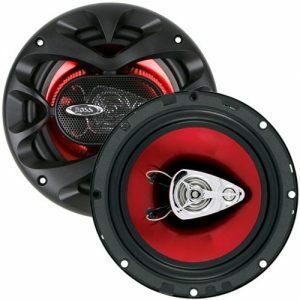 Let us look at what you need to know about each of them for making an informed decision on which one to buy. Hanging Cardboard: These are usually cardboard pieces which have been scented with a stick on the top that can be hung on the rearview mirror or one of the passenger handles. They are cut into different shapes for different brands and different scents. These are among the cheapest air fresheners. An example would be the iconic Little Trees Air Fresheners. Pros: Relatively Inexpensive; easily available; can be sprayed directly on the offending surface. Cons: Strength and life depend on how much you spray; chemicals can have a long-term impact on health. Gels: A gel-like compound which has fragrance encapsulated in it. As the gel evaporates, the fragrance spreads through the car. There are two versions available – one in the form of a gel which can be applied to surfaces or in a can or plastic container with holes on top to help you control the amount of smell you release. An example of this would be Air Spencer. Cons: Short life so needs to keep replacing, since there is no active dispersion can concentrate in one spot until you turn on your air conditioner. Oil Wicks: AmbiPur and Air Wick are examples of Oil wick type of air freshener. It consists of a glass or a plastic bottle with a porous wick which is attached to the air conditioner vent. The fragrant oil evaporates as the air from the air conditioner flows through the wick and spreads the smell in the car. This is a little more expensive than the other air fresheners. Cons: Strength depends on the blower capacity; does not deodorize but only adds another smell. Bamboo Charcoal deodorizers: Natural bamboo charcoal-based products which deodorize because the charcoal absorbs the odor-causing molecules removing them from the atmosphere. They also absorb moisture reducing the chance of mold and mildew in the car. 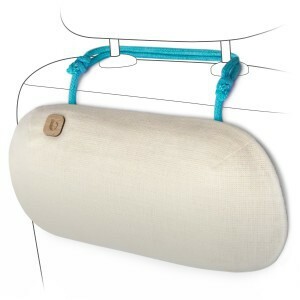 Moso Natural Air Purifying Bag and PURGGO Car Air Freshener are examples of this. Pros: Made of natural products; Healthier; environmentally friendly; Long Life; relatively inexpensive; no strong smells. Cons: Only deodorizes – does not have a fragrance; slower acting than sprays. * Check out our reviews on the best jump starters. Ionizer: This is the latest in air freshener technology. This is plugged into the lighter unit of your car. It produces ozone/ negative ions which react with the odor-causing molecules in your car and remove them. They also act against bacteria, mold and other allergens. TUPELO Car Air Purifier and Eco Breeze Car Air Purifier are examples of this. Cons: deodorizes – no fragrance; high amount of ozone can cause headaches in some cases. Different cars have different air freshener needs. The best way to select an effective car air freshener would be to know your needs, allergies in the family, preferences and a specific budget before investing in the best air freshener for your car.